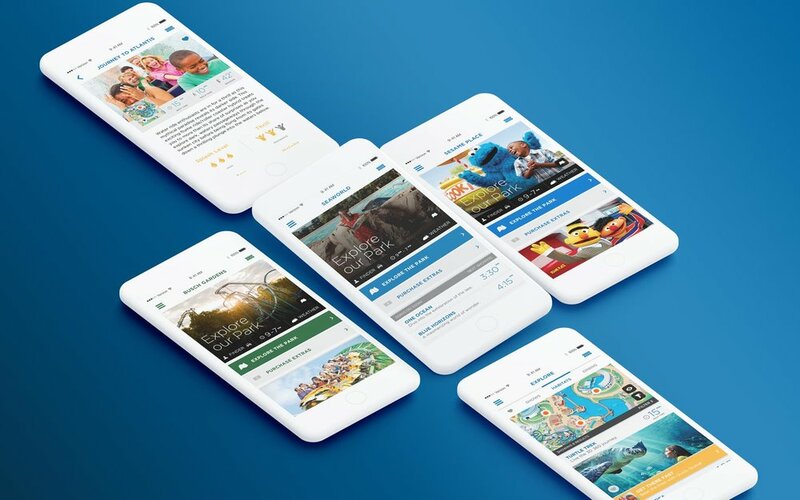 In 2013 I was part of the team that launched SeaWorld's cross platform mobile app for SeaWorld, Busch Gardens and Sesame Place. The app was built as a joint effort between multiple agencies and businesses to create a unique in park experience. I was primarily responsible for translating the design system that Sapient had established for SeaWorld to Busch Gardens and Sesame Place. I also had to work out all of the UX holes that we had inherited from other teams. Seamgen was completing the front end development so anytime there was a question from development, or a workflow that didn't make sense, I was the go to guy. Working on this app gave me a great appreciation and introduction to design systems. Each branded app used the exact same framework, however with the change of a primary and secondary color, imagery and iconography each app took on a unique look and feel. The app was well received upon initial launch, but fell behind due to the lack of internal support from SeaWorld. Below is a prototype of one of the design updates we pitched during our multi year relationship.